Phenylethynyl palladium(II) complexes have proven to be effective catalysts for coordination polymerization of isocyanides. In this work, two new phenylethynyl palladium(II) initiators bearing bromide (1b) and iodide (1c) were synthesized and applied for living polymerization of aryl and alkyl isocyanides. 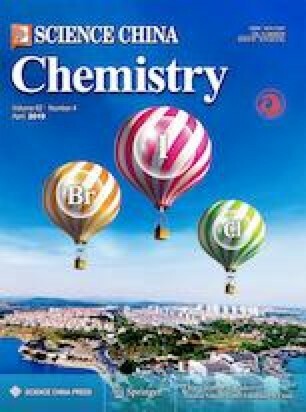 The coordinated halogen anions can significantly influence the kinetics of polymerization, with the observed order of reaction rates being 1c (I)>1b (Br)>1a (Cl). Impressively, 1c not only accelerates the reaction rate in both the initiation stage and propagation stage, but also can polymerize less active monomers that cannot be reacted by 1a. DFT calculations were then employed to understand the detailed mechanism and the halogen effects in this insertion polymerization process. Supplementary material is available for this article at https://doi.org/10.1007/s11426-018-9415-8 and is accessible for authorized users. This work was supported by the National Natural Science Foundation of China (21771049, 21622402), the Fundamental Research Funds for the Central Universities, the National Thousand Young Talents Program, the Jiangsu Specially-Appointed Professor Plan, and the Natural Science Foundation of Jiangsu Province (BK20170631). Supplementary material, approximately 1.57 MB.